You could do anywhere between 26-40 miles, depending on where you turn around. The South Fork Road winds along through ranch land - big ranches, and small ones, working ranches and hobby farms, but all very beautiful. Horses will bat their long eyelashes as you roll by, mule deer will pause mid-munch and mules with flick their long ears at you. 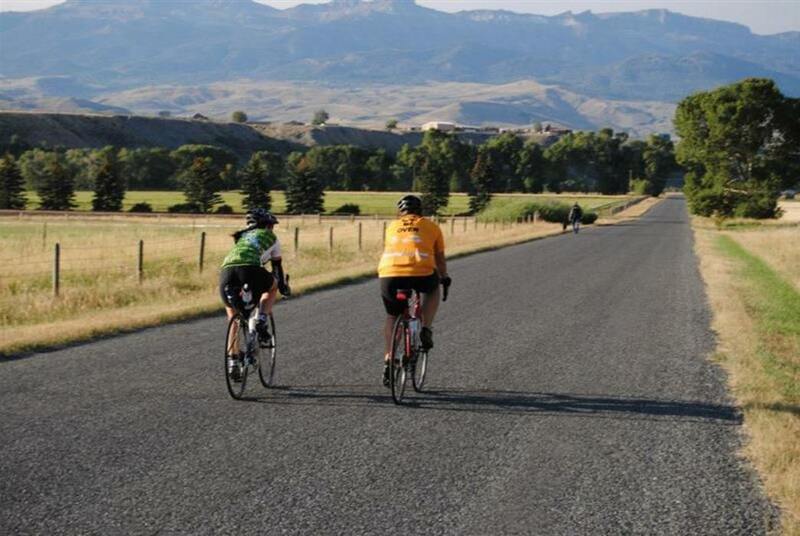 The traffic along the road moves at a moderate pace for the most part and folks are used to seeing cyclists flash by. The first section of road from town to the Lower Southfork Road has enough shoulder to ride double, but past that it’ll be single file. The pastoral setting of the South Fork sets this ride apart from others in the area. It’s a good workout overall with a couple of short but wickedly steep hills thrown in. The road rolls up and down and has lots of twists and turns to keep you on your toes. Drivers are generally courteous and the speed limit on the road varies from 45-50 mph so you won’t get pushed around in the wake of passing horse trailers. You’ll ride under the majestic bulk of Carter Mountain looming off to the south and the snow clad peaks of the Wapiti Ridge to the north. 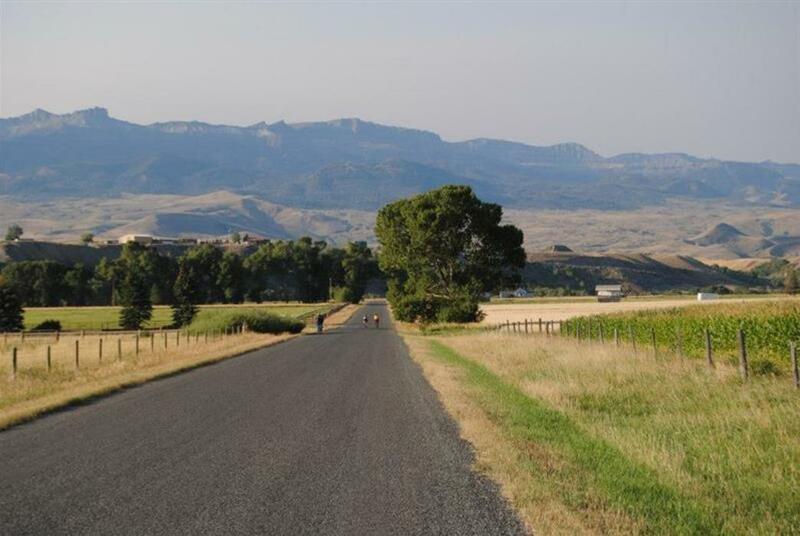 The volcanic neck of Castle Rock makes a great landmark to shoot for on your ride out. This ride is best done early in the day. You’ll become parched and withered by the scorching west winds later in the afternoon. Start this route either at the west side of Cody at the intersection of US HWY 14/16/20 and the South Fork Road or drive up the South Fork another five or so miles to the Diamond Basin junction. If you start in town there is very little shoulder and lots of rocks. Dropping your car at the Diamond Basin intersection makes for a less stressful ride, but not as challenging as you miss the first big hill. Chimney Rock makes a good first turnaround spot at 13 miles out. Or continue on another 20 miles to the J Bar 9 Ranch Road. The road condition deteriorates quickly past this point, eventually becoming gravel so this is a good spot to head back to town. Of course, you do have to go back up that big hill you had such a good time coming down just a minute ago. 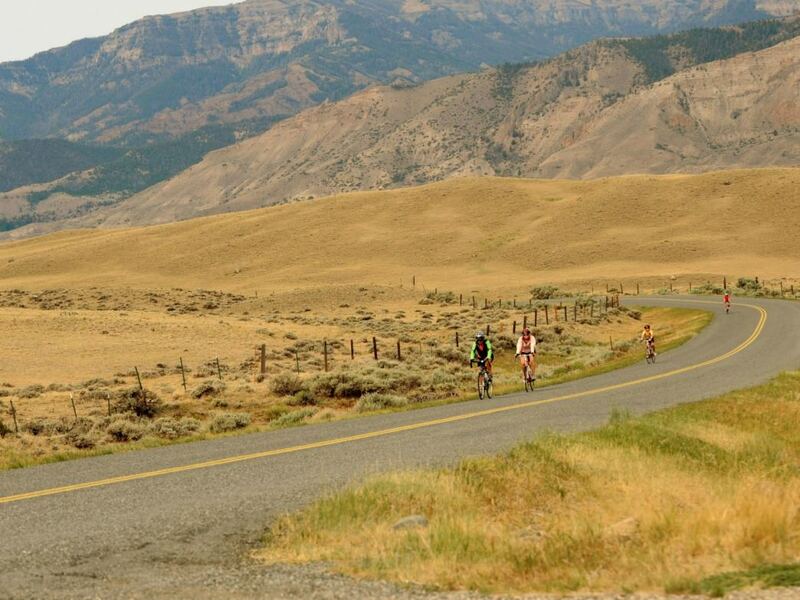 If you looking just to ride, get some miles in and breathe hard, the South Fork Highway is perfect. You can’t get lost, you don’t need to navigate and there’s not a lot of incoming traffic to contend with. This is a windy, twisting road though so don’t zone out or you’ll fly off the side. From Cody you can start at the base of the South Fork Road, 2.5 miles from downtown. Or drive out further and leave you car at the corner of Diamond Basin Road and the South Fork Road at about 10 miles. There are no public restrooms except at the Trail Creek trailhead, about 35 miles out. Cell phone coverage is good except with a few possible dead spots. Watch for slow moving mule deer on the road and even bighorn sheep.